Silangan Elementary School is a company specifically located at -maharlika Road, Upper Bicutan, Taguig City in Taguig in the region of Metro Manila. Ricardo P. Cruz, Sr. Elementary School is a company specifically located at -ml Quezon Ave., New Lower Bicutan, Taguig City in Taguig in the region of Metro Manila. Napindan Elementary School is a company specifically located at Labao St. Purok 4, Napindan, Taguig City in Taguig in the region of Metro Manila. Maharlika Elementary School is a company specifically located at -pendatun Street, Maharlika Village in Taguig in the region of Metro Manila. Kapitan Eddie T. Reyes Memorial Es - Palar Annex is a company specifically located at -scorpion St., Palar Village, Pinagsama, Taguig City in Taguig in the region of Metro Manila. Kapitan Jose Cardones Memorial Elementary School is a company specifically located at # 19 Friendship St., Z-6, South Signal Village, Taguig in Taguig in the region of Metro Manila. Kapitan Eddie T. Reyes Memorial Elementary School is a company specifically located at -phase 2, Barangay Pinagsama, Taguig City in Taguig in the region of Metro Manila. Eusebio C. Santos Elementary School is a company specifically located at -ml Quezon Ave., San Miguel, Taguig City in Taguig in the region of Metro Manila. 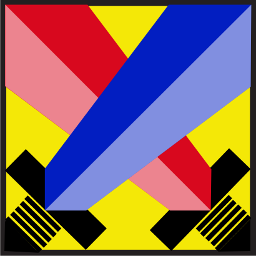 Enlisted Men's Signal Village Elementary School is a company specifically located at -02 Ballecer St., Z-2 Signal Village in Taguig in the region of Metro Manila. Dr. Artemio. E. Natividad Elementary School is a company specifically located at -gen. Luna St. Ususan, Taguig City in Taguig in the region of Metro Manila.